‘Someone has stolen my pig!’ cried Summer Sands, as she ran into the farmhouse kitchen. ‘Mum! Mum!’ she shouted, but there was no sign of her mother and no-one else was around either. Summer ran outside and looked in all the barns, almost tripping over the kittens. ‘Oh I wish you could help me find my pig and my mother too!’ she said tearfully. The kittens meowed and ran after Summer as she ran towards the field where her father should have been cutting the hay. ‘Dad! Dad!’ Summer shouted as she ran towards the tractor. ‘Someone’s stolen Percival Pig and they’ve taken mum too!’ But her father was not on the tractor and when she called for him again, he did not answer. Summer’s heart beat fast and although the sun had been shining, there was a dark cloud heading towards them. 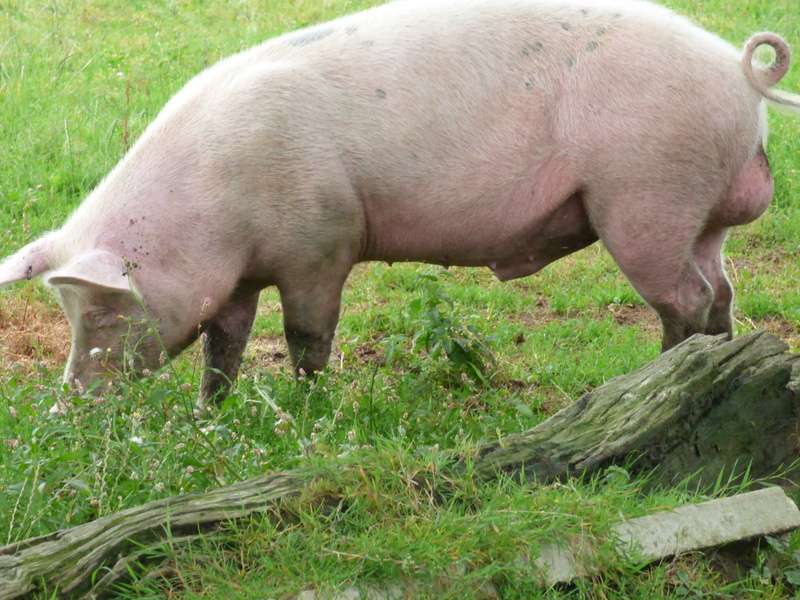 ‘I wish you could help me find my mother and my father and my pig,’ she said to the horse. The horse neighed and trotted behind the kittens that ran as fast as they could after Summer. They came to the stream at the far end of the field. Summer stopped and called again. ‘Mum, Dad, Percival, where are you?’ But the only sound they heard was the ripple of the water as it made its way down the hill towards Gusty Gully. Summer decided to run to the village for help. Phil the fish saw Summer running down the hill being chased by a load of kittens and a horse. ‘Someone’s stolen my mum and my dad and Percival pig too,’ said Summer breathlessly. Phil the Fish scratched his head. ‘Are you sure?’ he said frowning. ‘Well they’ve all disappeared from the farm,’ said Summer and that is very strange. ‘Oh please help me find my family,’ begged Summer. Phil the fish nodded his head. ‘Well I doubt they weren’t taken for a ransom,’ he said. ‘What’s a ransom?’ asked Summer. ‘It’s when someone hides something and refuses to give it back until you pay up!’ Summer looked confused. Suddenly, Summer turned and ran back up the hill with the kittens and the horse behind her. ‘Wait for me,’ shouted Phil the fish. And she ran all the way back to the farm. ‘There you are!’ came a voice from the kitchen. It was Summer’s mother. ‘I’ll pay the ransom!’ shouted Summer breathlessly. ‘I’ll work every day after school to buy his food. Just please, don’t sent him away.’ For a moment, Summer wondered if it was already too late. Perhaps Percival had already gone to the market to be sold for bacon. She would never eat bacon again. Ever! ‘I will! I will! I promise!’ shouted Summer. ‘Oh thank you! Thank you so much!’ And she ran and hugged a very lucky Percival pig, just as it started to rain.